Our customers love the time and materials tracking feature where SortScape prompts you to enter your time spent and materials used when marking a visit complete. You can then use this information for invoicing the customer. Our customers submit time and materials multiple times a day, every day so we want to make it easy for them to do so whether they’re sitting at a desk in an office or using a mobile device out in the field. Here are three new features that now make it easier to enter your time and materials. 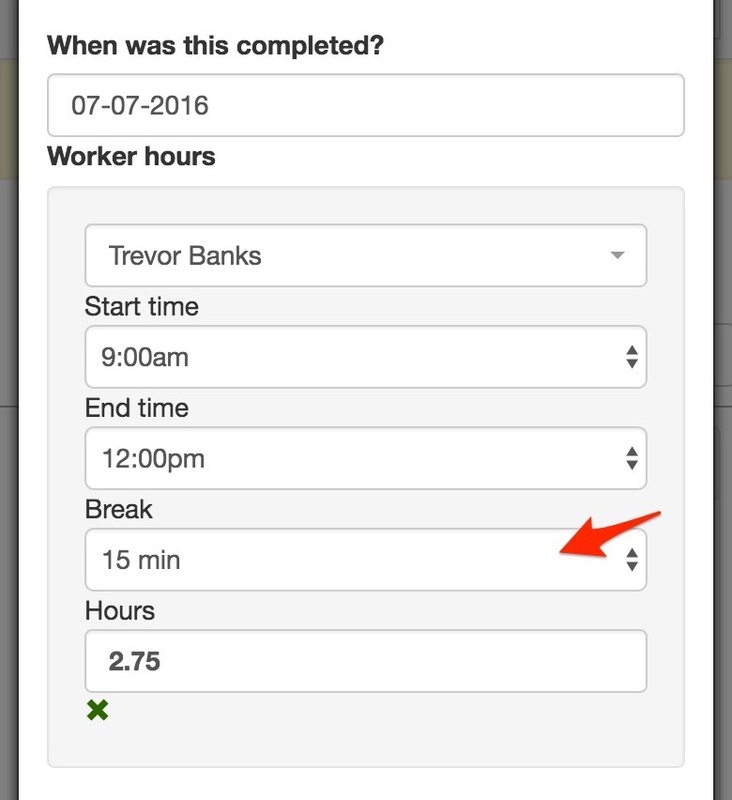 In order to track breaks, you previously had to make multiple entries for each employee. For example, if Trevor worked at a job from 9-12 and took a break from 10:30 – 10:45, he’d need to add a line for 9-10:30 and another line for 10:45-12. This could become very tedious if you had multiple employees on one job. To make it easier to account for breaks, we’ve now added a “break” dropdown where you can select the amount of time to remove from the total hours for breaks. Now you can just add one line saying Trevor worked from 9-12 with a 15 minute break. When adding materials used, the material type dropdown could get quite long and therefore cumbersome to use. 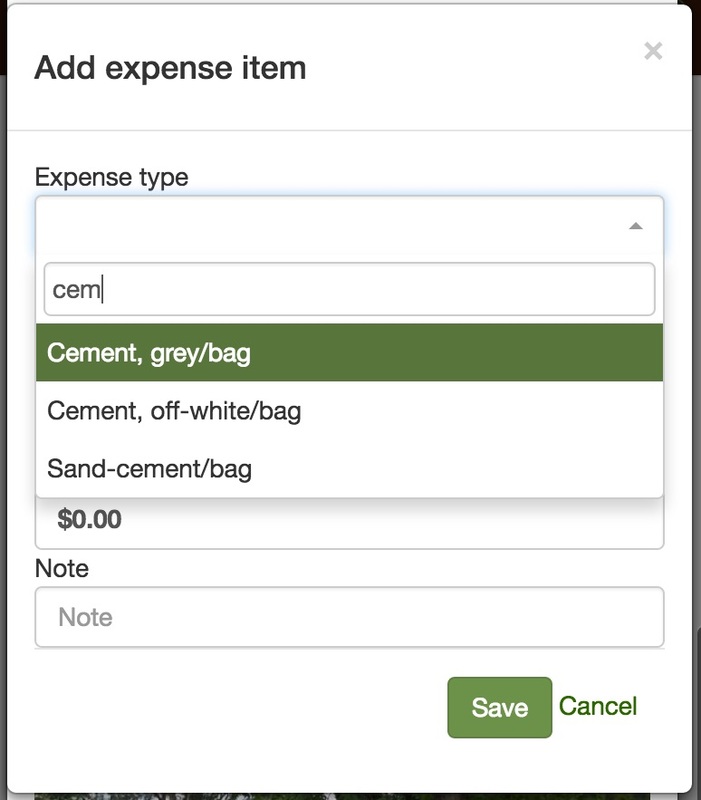 When adding time and materials to a visit, you can now search from within the dropdown fields, making it easier to work with a long dropdown containing items with similar names. 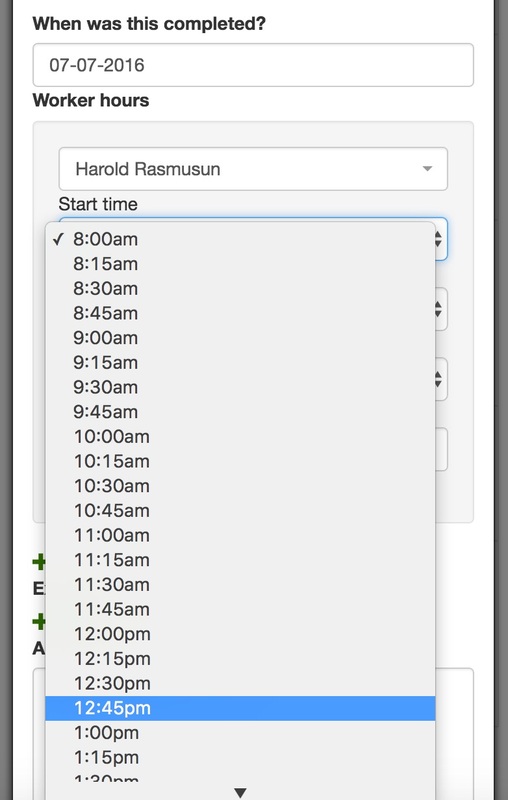 You can also search within the employee dropdown when adding hours. When using SortScape in the field on your mobile phone, every second of time-savings counts. That’s why we’ve now made the start and stop times configurable which lets you keep the dropdowns as short as possible. You can also set the minute interval which allows you to shorten it even further if, for example, you increase the interval from 5 to 15 minutes. The images below demonstrate how changing these settings can reduce the dropdown length. You can fine tune this setting to get all the options you need in the list and no more. These are just a few features we’ve added recently to make the user experience nicer and to save you time in the field. More improvements are underway so stay tuned.